Who doesn't like the 4th of July weekend? It's always a great time to celebrate. 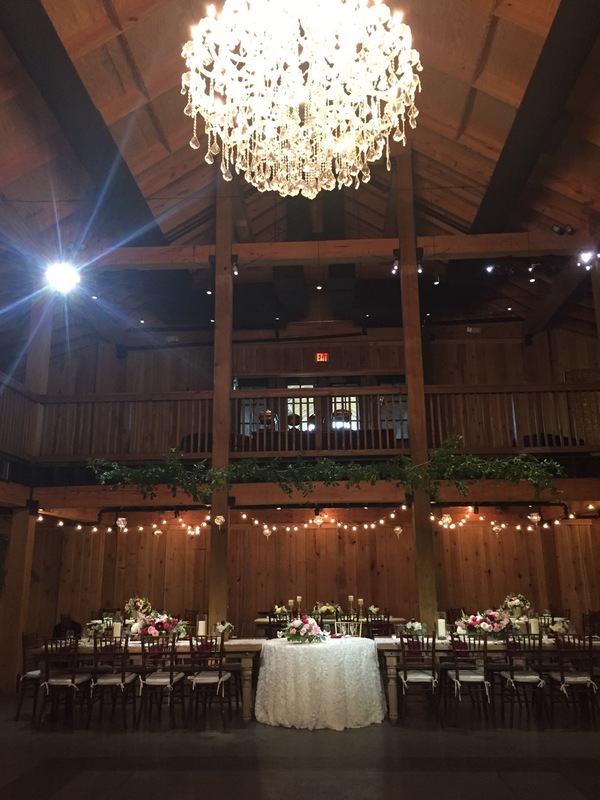 We spent our holiday weekend surrounded by incredible couples tying the knot, their families and friends at some of Nashville's most beautiful venues. 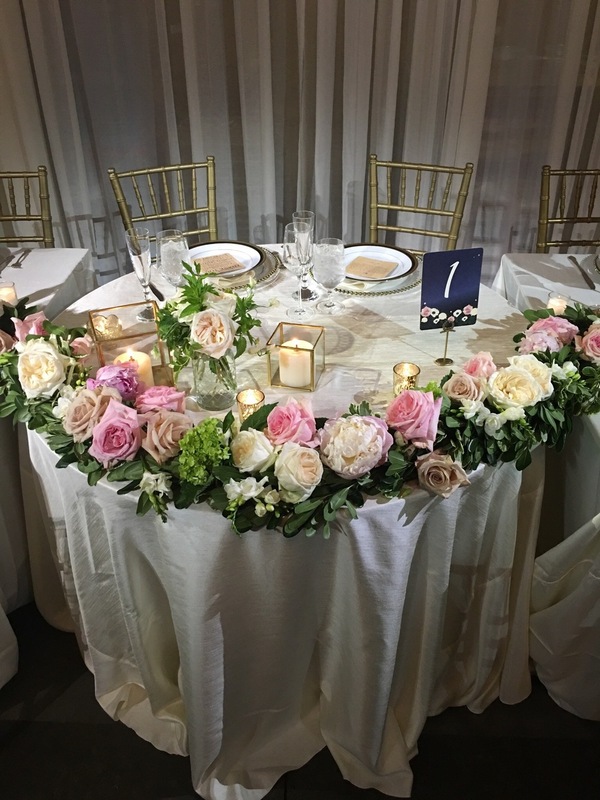 While this weekend was all about the red, white, blue, and "I Do's" there was a mix of love along with a big birthday surprise celebration and a private corporate event in one of downtown's hottest spots. Some of these celebrations included fireworks, some included our open air photo booths and custom lighting, but every one of them included happiness.. Highlights: This gorgeous Bride was glowing as she made her way down the aisle to promise forever to her sweet Groom. After they said "I Do" they walked back down the aisle arm-in-arm as husband and wife to "Forever and Ever Amen" by Randy Travis. So. Sweet. This couple included a lot of monogrammed elements including a gorgeous monogram gobo light that we are still obsessing over. Alexa and Chris chose a neutral color palette with a pop of blue featured in the floral, decor, and the Groomsmen bow-ties. 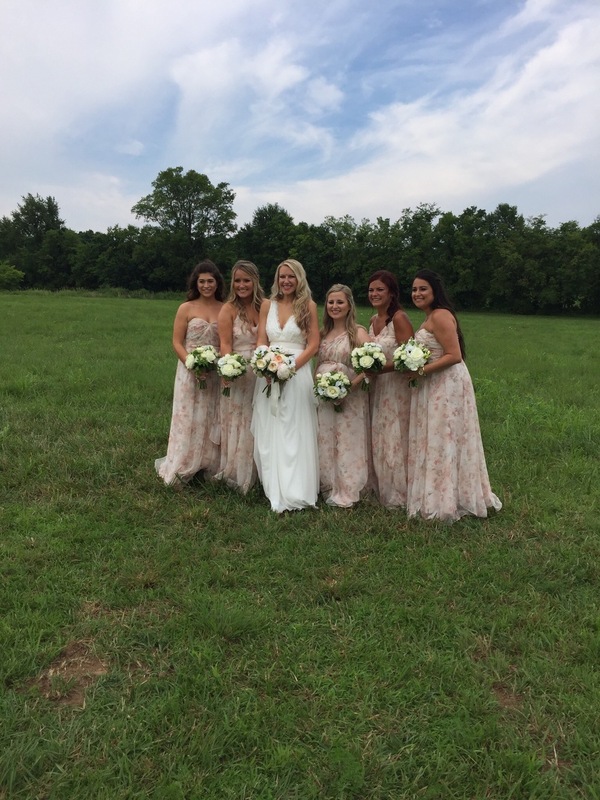 The bridal party made their introduction into the reception barn to the new hot summer song "Can't Stop the Feeling" by Justin Timberlake, while our Newlyweds made their grand entrance to "Cheerleader" by Omi. They requested songs by Thomas Rhett, Luke Bryan, R. Kelly, and Neil Diamond to keep the dance floor full all night. We loved the toasts, we loved this couple, we loved this wedding. 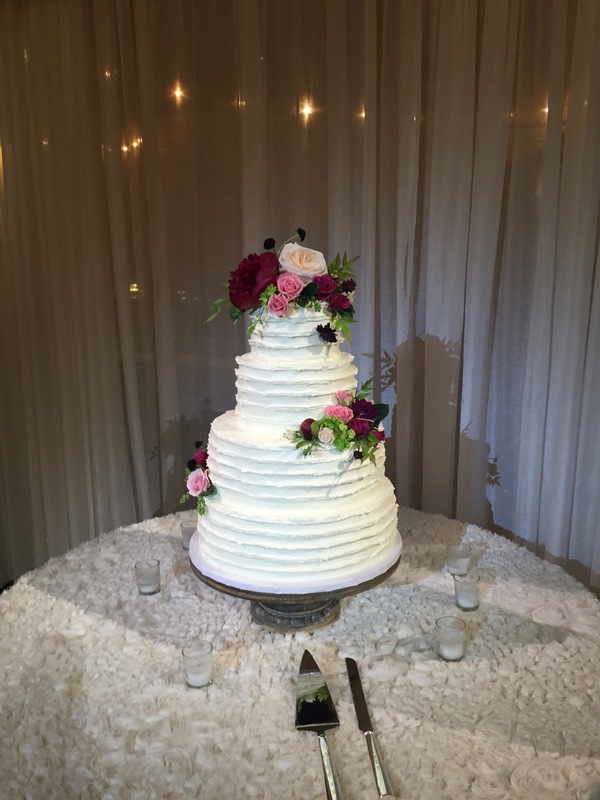 Congratulations Alexa + Chris! Cheers to you both! *Since both of these were private events, unfortunately we cannot provide photos from them. 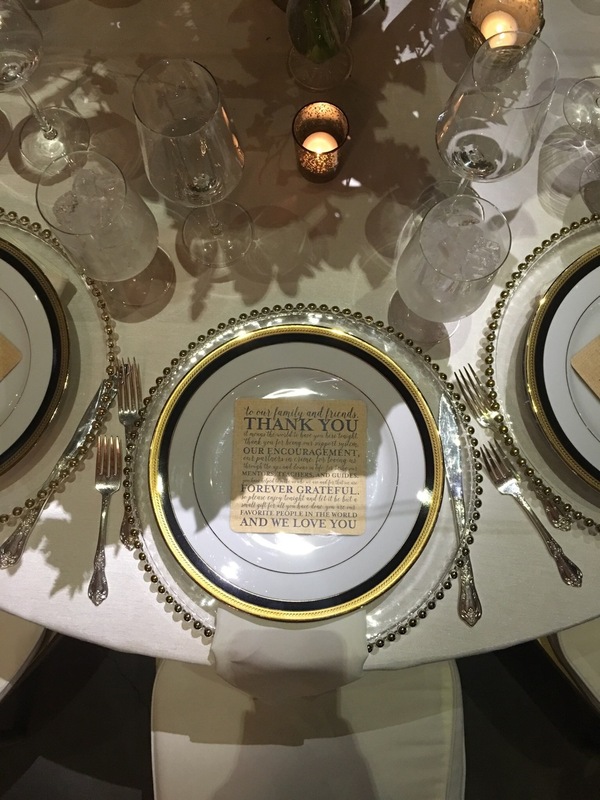 However, they were each noteworthy celebrations, and we're so glad that we were a part of both of them! 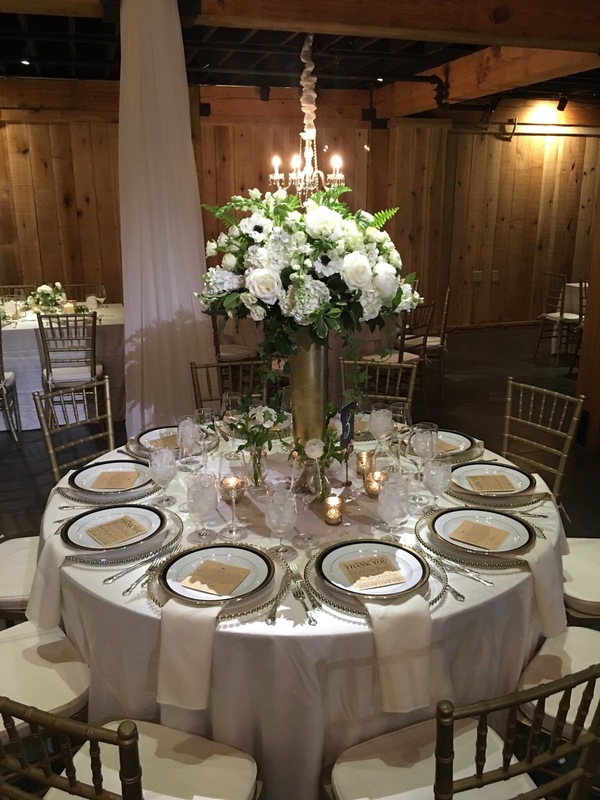 Highlights: Another gorgeous wedding, complete with a beautiful Bride and handsome Groom, family and friends, as the farm simply served as the backdrop. Touches of greenery from the ceremony pavilion to the reception barn, this wedding showed how the summer storms made the greenery lush and stand out. After the cocktail hour, the bridal party made their grand entrance into the reception to LMFAO's hit song "Party Rock Anthem," quickly cutting over to the new Mr. and Mrs. first dance "Die A Happy Man" by Thomas Rhett. Their playlist included songs by Florida Georgia Line, Chris Stapleton and John Pardi which kept the dance floor full all night! Sarah and Jared also chose to include Snyder Entertainment's open-air photo booth that provided an element of entertainment for all ages and stayed busy all night long. To end the night, there was a surprise fireworks show out on the patio- the perfect addition to the holiday weekend and the perfect way to end a perfectly beautiful wedding day! Congratulations again Sarah + Jared! Cheers to happily ever after! To see all of the photos from their Photo Booth please click here! Feel free to save and share these pictures by liking our Facebook page! 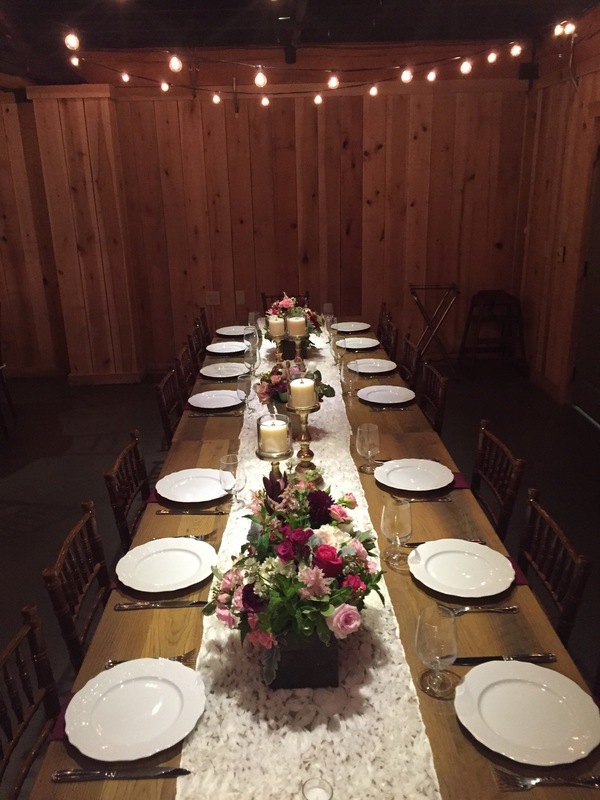 Highlights: Country chic is one of the many ways to describe this beyond beautiful wedding. 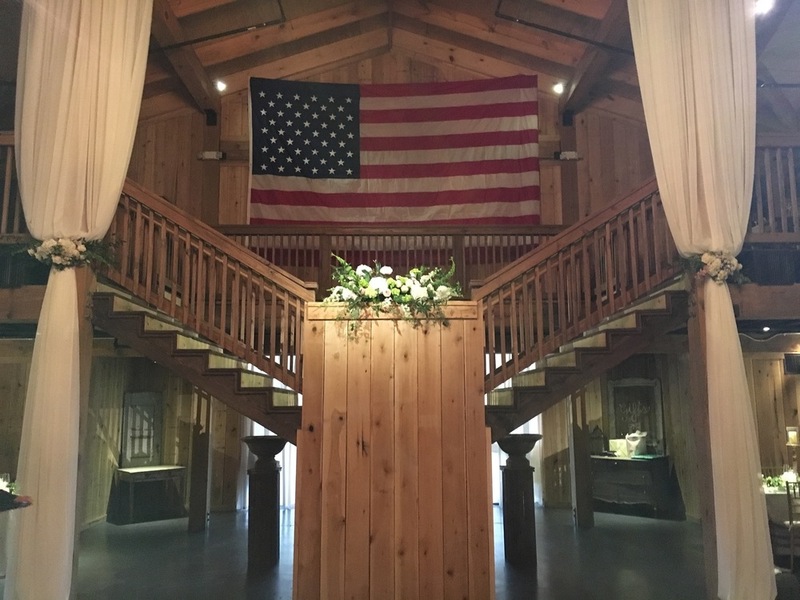 Soft floral, a huge American flag hanging over the reception barn, tablescapes that were so pretty we didn't even want to eat off of them, and a lot of cowboy hats are just a few of the details. A sweet ceremony followed by cocktail hour, and then on to the reception. The Bridal party made their grand entrance to the song "Brand New Man" by Brooksand Dunn. 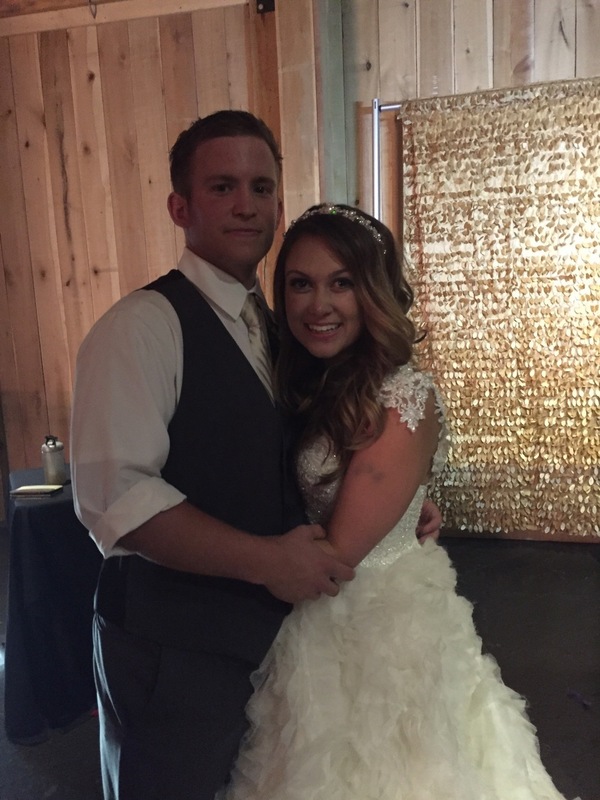 Mallory and Robert danced to "Forever and Ever Amen" by Randy Travis, one of my all time favorite country songs. The dance floor from that point on was packed all night long; guests danced to songs by Garth Brooks, Lee Greenwood, and the Village People just to name a few. 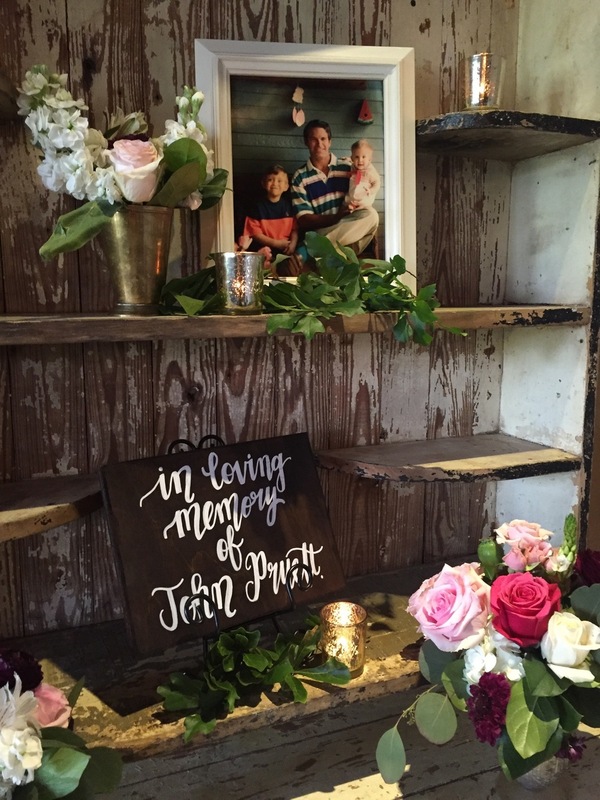 Our sweet couple decided to also include a photo booth with their entertainment package, and it stayed busy all night long with guests in and out. It was such a fun night and we absolutely loved celebrating with this group. 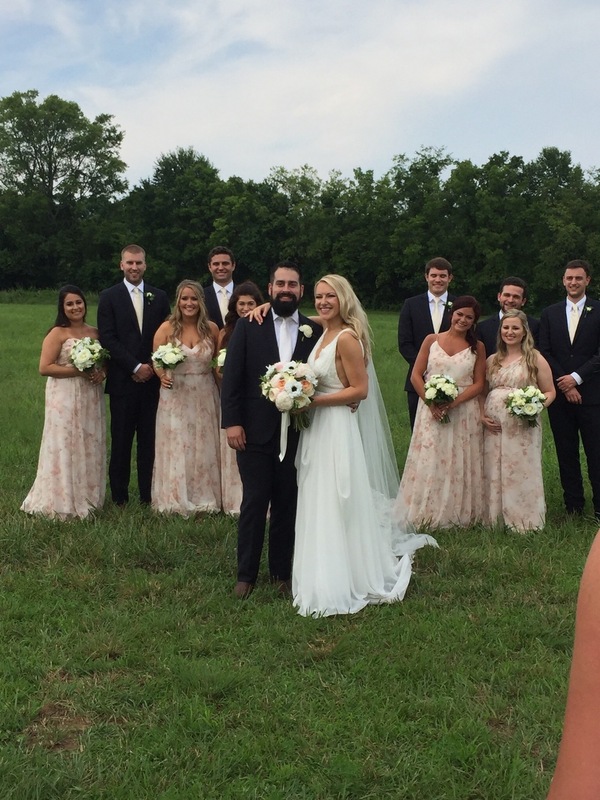 Congratulations again Mallory + Robert, we wish y'all a lifetime of love and happiness! 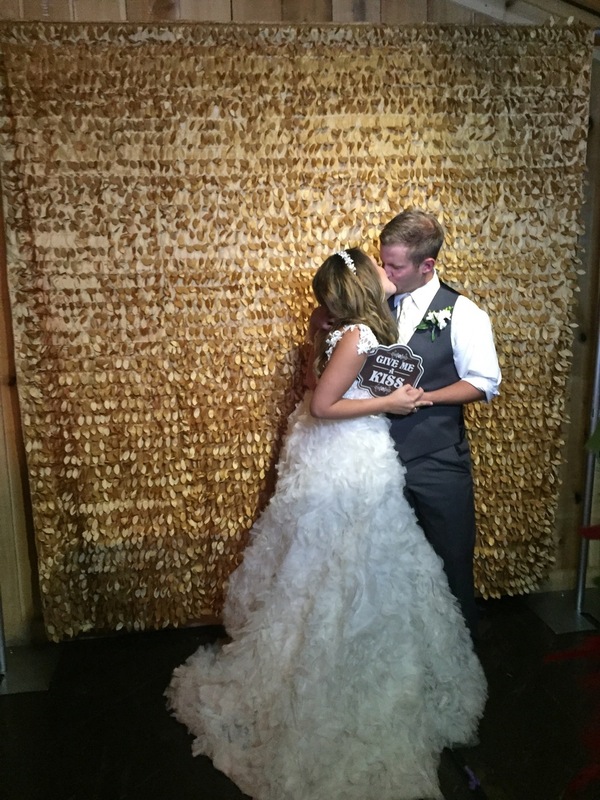 To see all of Mallory + Robert's pictures from their photo booth, please click here! Save and share your favorites by liking our Facebook page! 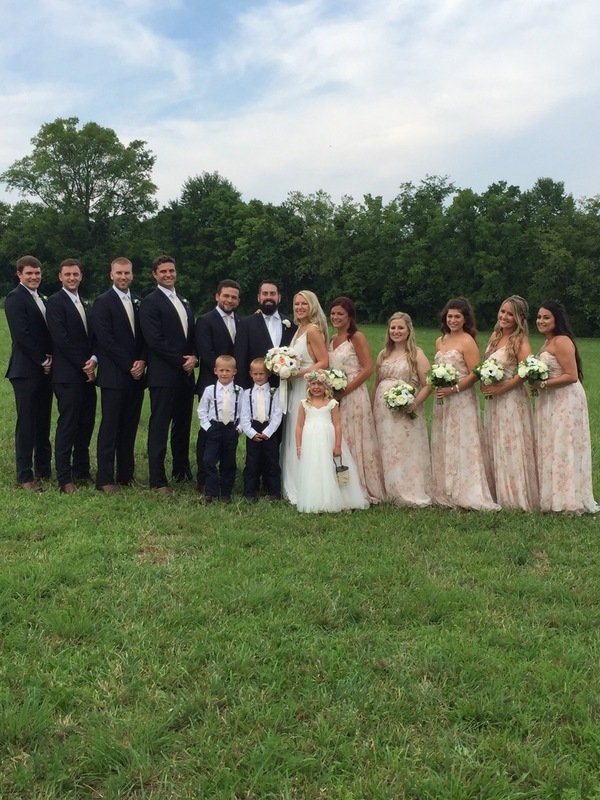 Congratulations again to all of our newlywed couples! Contact us today to secure your event date for 2017.. Our calendar is quickly filling up!